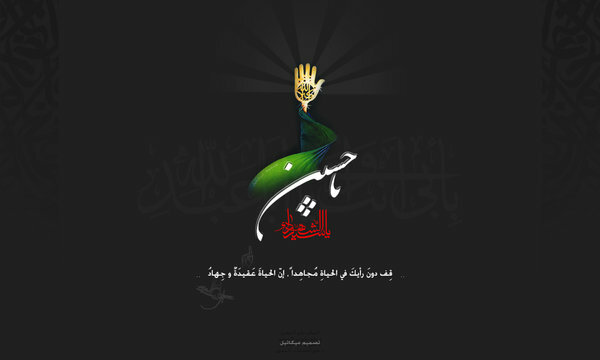 What was the course of Imam Husain’s (a.s) revolution? What reasons prompted him to initiate such a great and unmatched upspring? Did he intended to overthrow the Yazid regime? Did he wish to end the Umayyad dynasty? These and such other questions keep cropping in the mind and everyone wants to know the satisfactory replies, specially the mourner of Imam Husain (a.s) are more eager in this regard. 1) The reformation of his grandfather’s nation. 2) Enjoining Good and Forbidding Evil. 3) Renewal and Revival of the tradition of the Holy Prophet (s.a.w.a) and Hazrat Ali (a.s). These purposes are not different than each other rather these are complementary to each other because, nation can be reformed only by means of bidding good and forbidding evil. The tradition and path of the Holy Prophet (s.a.w.a.) and Hazrat Ali (a.s.) is goodness and anything other than that is evil. Some facts are stated by Hazrat Imam Husain (a.s) in his other sermons and letters but in other words. When he reached Mecca he wrote a letter to the people of Basra thus; “I invite you towards the Book of Allah and the Sunnat of the Holy Prophet (s.a.w.a) because indeed sunnat has been mutilated and hereby is revived. Whoever will accept my words, then I will guide him towards the straight path”. In another letter to the people of Kufa he wrote thus: “By Allah, Imam is the one who acts on the commands of the Book, deals with Justice, followed the truth and reserves his self for the pleasure of Allah.” These words of Imam imply that only he can be an Imam who possesses these characteristics and the one who does not possess them cannot be an Imam. Hence Yazid Bin Muawiya has had no right to the caliphate. follow Hazrat Ali (a.s.) and Khulafa Rashedeen, Thirdly Imam Husain (a.s.) was critical about the behavioral pattern of the caliphs, then how he could have desired to follow their paths?